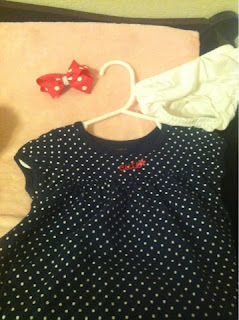 How to Re-Use Newborn Headbands! Flash-Forward 5 months…when those itty bitty bands dont fit baby girl’s head anymore. Don’t thow them away, i repeat DO NOT THROW HER HEADBANDS AWAY! 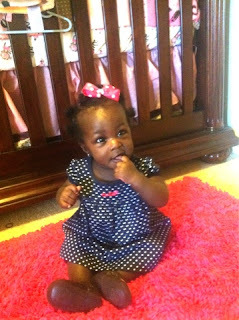 There is a simple solution to re-use the bow from the band for your growing big girl, just follow these simple steps! 1) Chose the headband of your choice. You want to make sure that it has a bow that you like. 3) Take out your alligator clips. 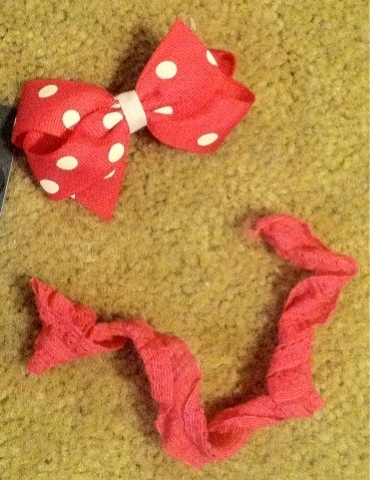 For this bow, I used the “Celebrity Fit” hair clips from Michaels. 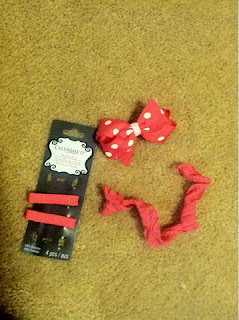 I chose this one because it comes with a ribbon already attached that covers majority of the bare clip. 4) With your hot glue gun apply a couple of drops of hot glue to the back of the bow, and a small drop to the alligator clip. 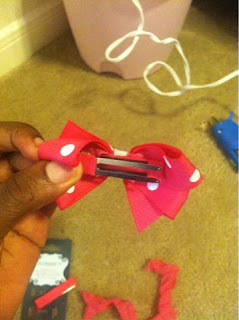 5) Quickly press the bow onto the alligator clip where the hot glue was applied. 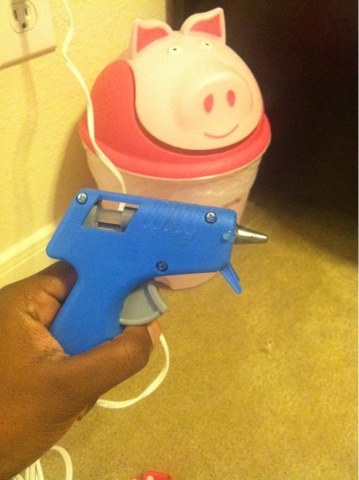 6) Remove any excess glue that may be hanging. Pair it with a cute little outfit..
..and she’s ready to go! The Feels | My Baby Sister Graduated! How to Plan a Fabulous Staycation with Kids!